This month, celebrating St. Patrick’s Day isn’t the only way to go green. In order to begin the paperless process, one must determine which papers need to be saved. Don’t be nostalgic – get ruthless and toss whatever isn’t necessary! Be sure to recycle whenever possible. Scan and digitally organize remaining papers, and then recycle the hard copies. Schedule the time to do this monthly to stay on top of your new paperless work style. Take advantage of digital alternatives. Some people are committed to taking handwritten notes, or writing in a physical planner. However, a plethora of user-friendly digital versions of calendars, note takers, planners, task managers, brainstorming tools, and more exist online or as apps. Many of them are free or available for a low cost. Explore these tools and determine which work best for you or for your entire company. Every day, offices are flooded with junk mail and unwanted catalogues that rarely make it to the recycling bin. To curb this, call or visit the websites of companies and unsubscribe from their mailing lists. Most catalogues, in particular, are available to be perused online, and junk mail is rarely missed. Furthermore, when mail is received, open and recycle the envelope and/or contents right away. This helps prevent paper from piling up around the office. 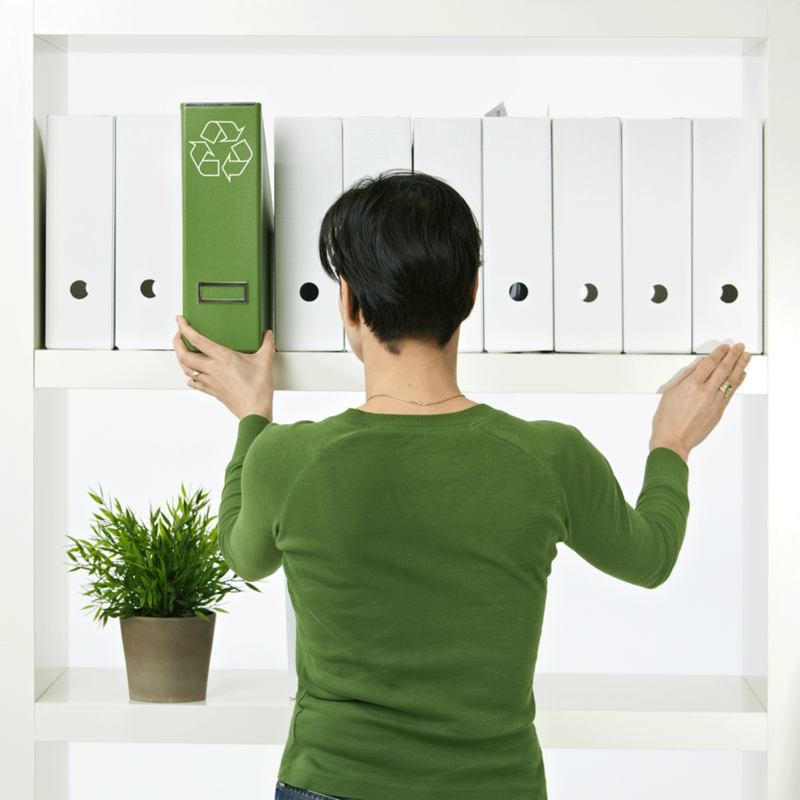 Going green may be more fun for the holiday, but it is certainly possible – and helpful – year-round. Have you tried any of these tips for going paperless, or have others to share? Let us know! Do Potential Employees Fall in Love with Your Company?